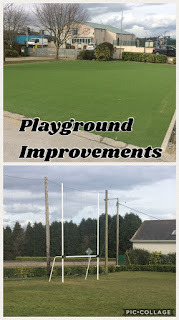 Thanks to the Waterford Council Grant for playground improvements we have been able to install new goals and a section of artificial grass to increase our wet play area. We would like to thank the council which funded this project. 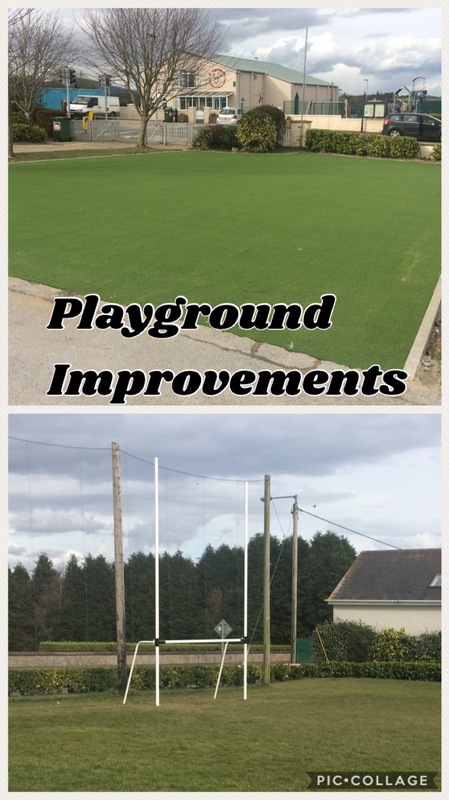 Also thanks to Richie Lacey for doing the ground works.